Unlike kitchen tables, chairs and wardrobes, cabinets are often overlooked when it comes to furniture priorities in a new or renovated home. However, this should not be the case. The sheer functionality and range of options that well-designed and installed cabinets can give is priceless and really should not be underestimated. On top of that, kitchen, dining room or bathroom cabinets also possess sufficient surface area to ensure that they can encompass unique designs and elegant touches which you may wish to add. Whatever your preference, it is important that you select a trusted carpenter to take care of this most important of household pieces. Thankfully in Bentonville, there is the perfect team. With a wealth of experience in all facets of the cabinet design, creation and implementation process, RTH Handyman Services is the name you can trust. Having served the needs of residential, commercial and industrial clients across Bentonville and beyond we certainly have what it takes to get the job done in an efficient and affordable manner. For our dedicated team of cabinet makers, this job is much more than a nine to five. The passion and extra commitment that they bring to this position is visible from the high-quality nature of cabinets we produce. Using the finest local sourced wood, our team of cabinet making professionals work diligently to ensure that your home is outfitted with cabinets that enhance their esthetic qualities while also ensuring that all the practical requirements are taken care of. Our team focuses on excellence and quality workmanship to ensure the highest possible results for the cabinets we create. 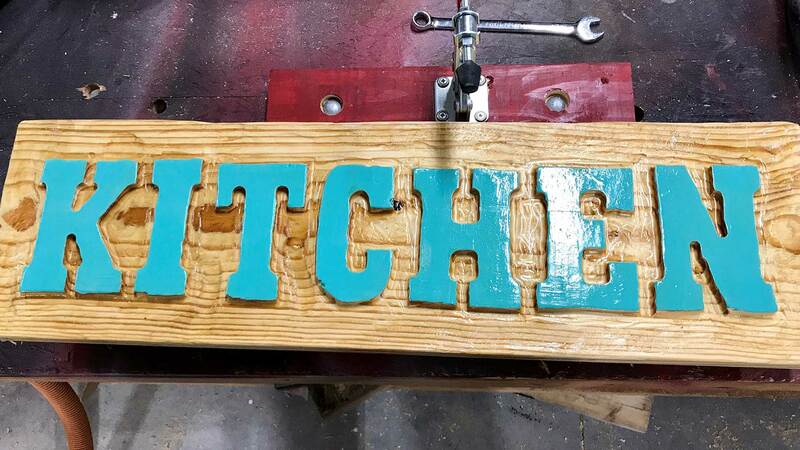 So, whether you are in need of a small kitchen cabinet re-facing for your home or a more expansive commercial millwork piece, we should be the first name that you think of. For us, going that extra mile for all our Bentonville clients is a given. We will guarantee to do whatever it takes to achieve the desired outcome for all our clients. This means that regardless of the size of the job or the scale of the work needed, there is no way we will do any less than our very best to meet your individual needs. So, when we mention superior customer service, this is what we’re talking about. If you want the most durable, stylish and personalized cabinets, then there is only one number to call. RTH Handyman Services’s commitment to excellence is envied by many but rivalled by none, while our attention to detail and complete carpentry excellence is simply unrivalled. We work hard every day to maintain the high carpentry standards we set, so why settle for second best when the number one team is right here on your doorstep? Call today to schedule a non-committal appointment or to have a quick chat with one of our team members.